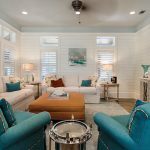 This Saint Simons Island, Georgia home by kitchen and bath designer Jenny Lyons of Dove Studio and interior designer Lisa Parke of Eye for Design is an absolute dream!! 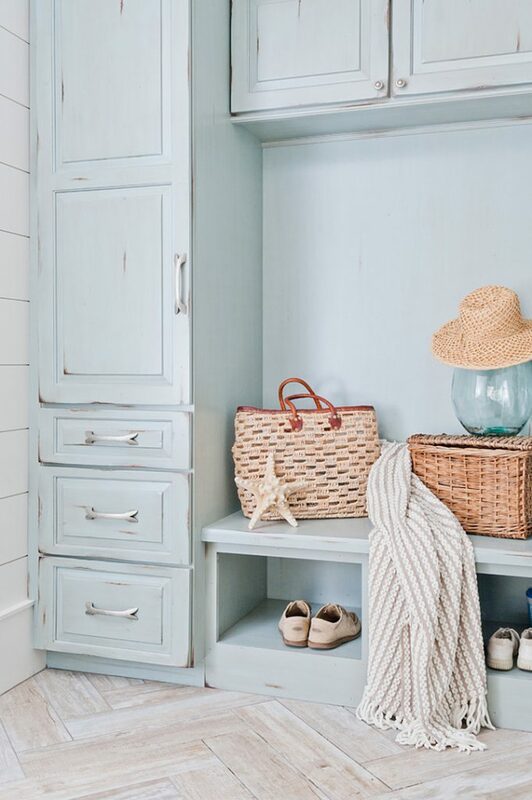 The soothing color palette echos the shades of the sea and sandy shores while distressed wood and tons of texture add character and charm to the beachy, breezy spaces. 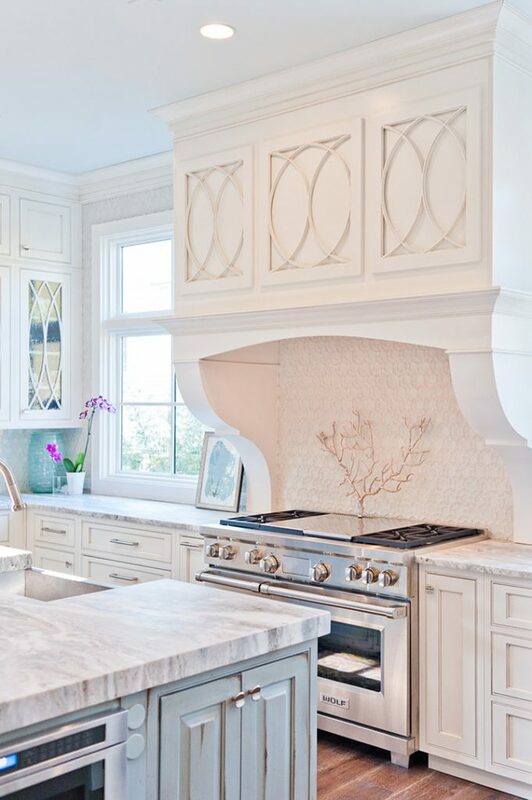 The kitchen cabinetry here really knocked my socks off…the detail is incredible! 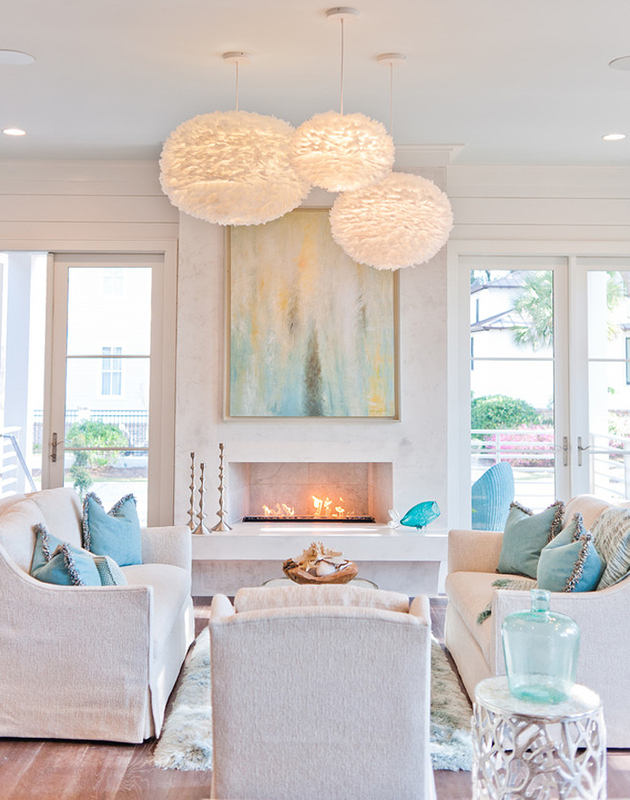 So in love with those pendant lights too. And the cozy island bench! 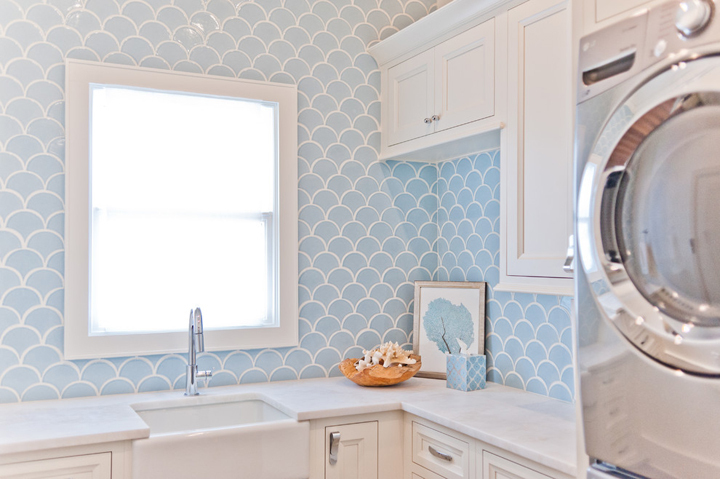 Then to top it all off, the living room, laundry room and mudroom could not be any more lovely! 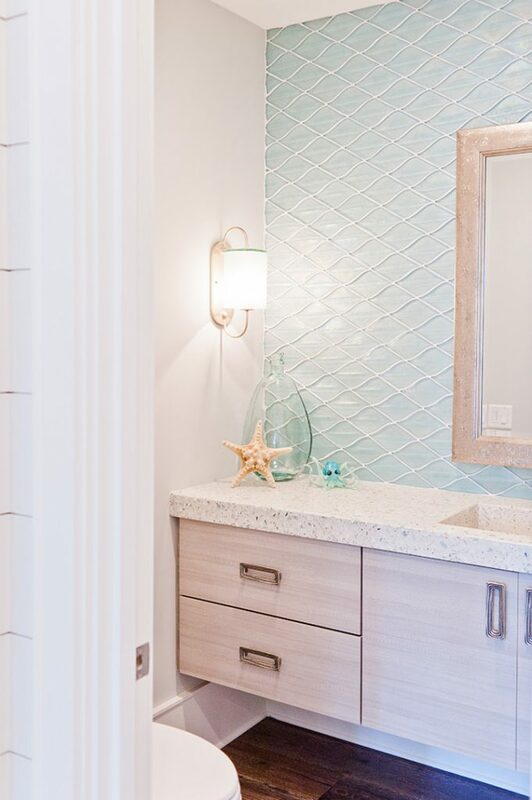 There’s still more to see of the home (including a stunning master bath)…for more photos by Amelia Tatnall of Bloom & Lo head over here! Wow. This is literally house goals. 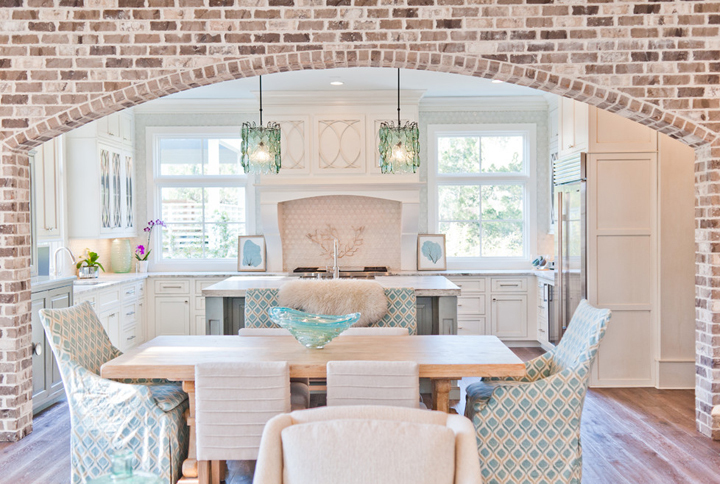 That kitchen! Gorgeous! Any chance of sharing the cabinet colors in the kitchen? They're beautiful! Trying to decide on floors for our new house and once I saw these, I was sold. If you could give me information on the floors, you would be my hero forever!! 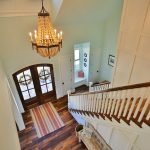 What are the paint colors for this house? 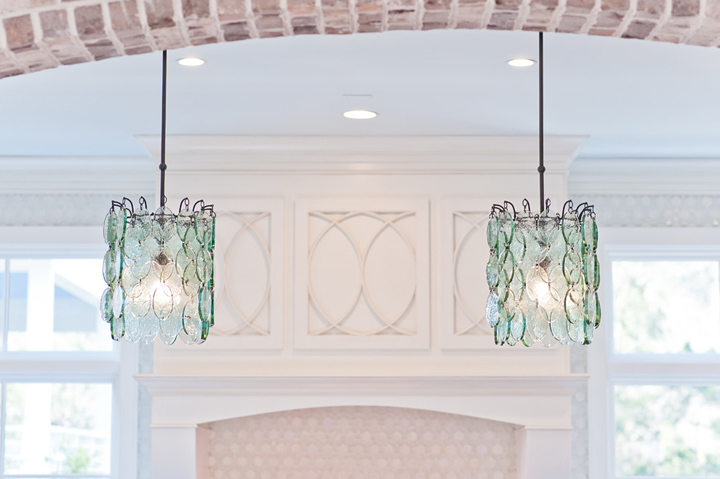 They are the Airlie Pendant from Currey & Company…so beautiful! 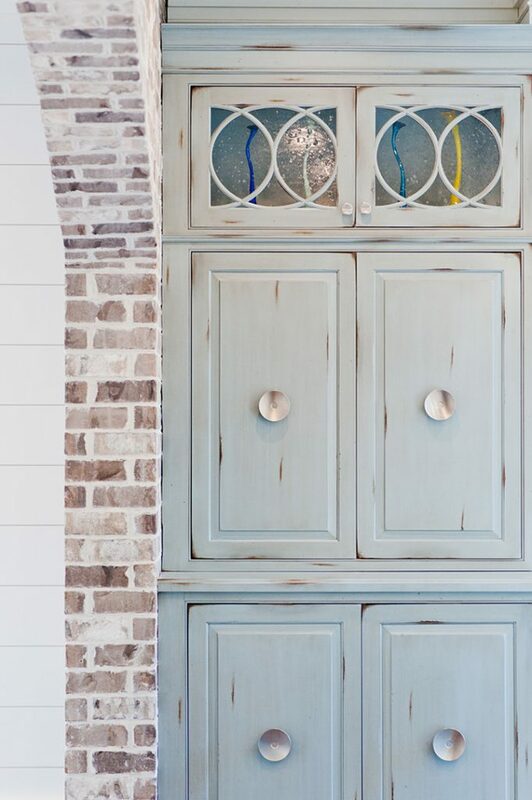 I adore the paint colors of the kitchen cabinets. In fact this is the same color theme I had already chosen. Could you please share the colors as I have had a difficult time choosing the blue. I have already tried 6 different samples and haven’t found the right one yet. I would be forever grateful. 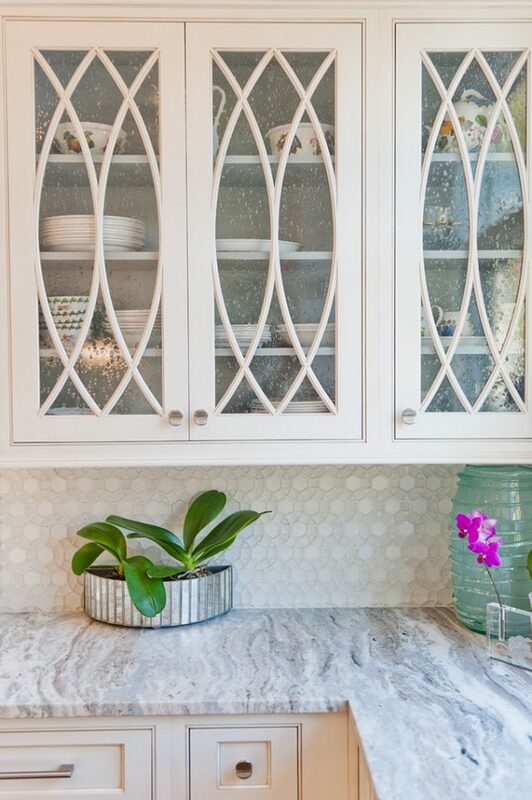 LOVE the pattern on the glass kitchen doors. I just love can you tell me were I can get them,. Please share the wood floor type. So perfect! 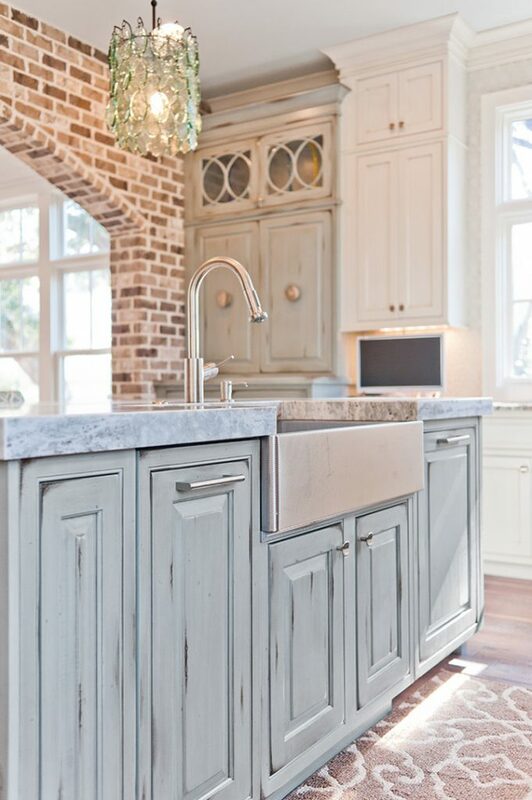 Can you tell us what color the cabinets and island are in the kitchen? 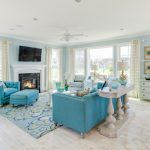 Ive been searching for the perfect turquiose paint color! 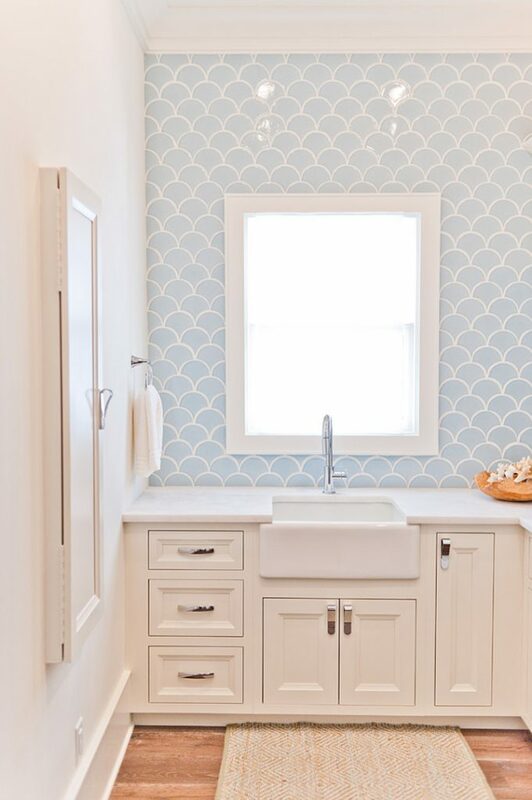 According to Dove Studio, it is the Colonial Blue finish in the Olde World collection from Shiloh Cabinetry. 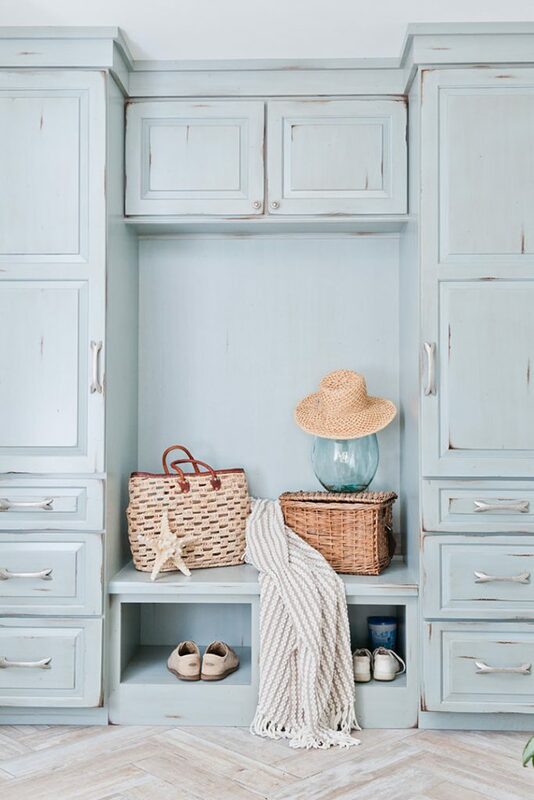 The base color is a light blue and then there are all sorts of techniques applied to get this look. Paint crackle, glazing, worm holing, denting, just to name a few. It’s just beautiful! Could you please tell me where you got the artwork for above the fireplace?! I HAVE to order it for above mine!!! 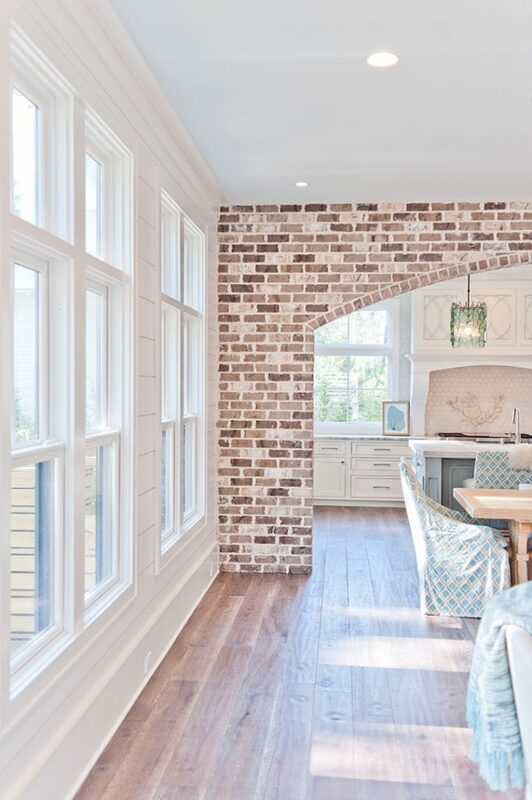 Can you tell me what brick was used on the wall transitioning into the kitchen? 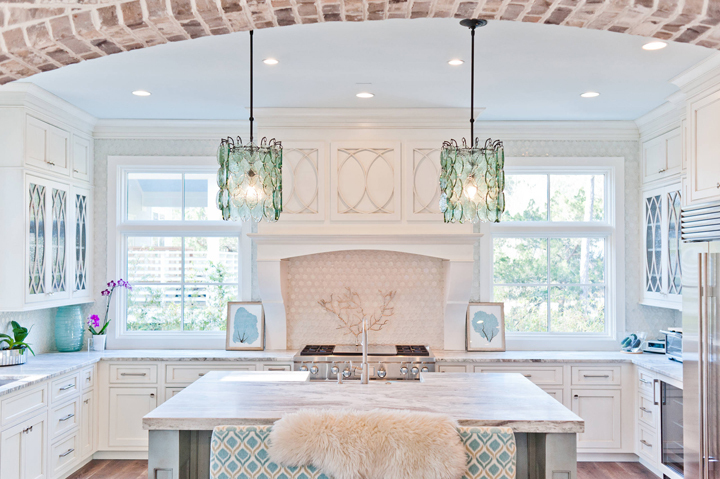 Can you tell me where to get a kitchen island bench like that? It would be PERFECT for mine! 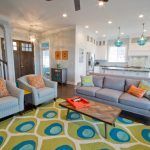 Can you please share information on the flooring in this home? 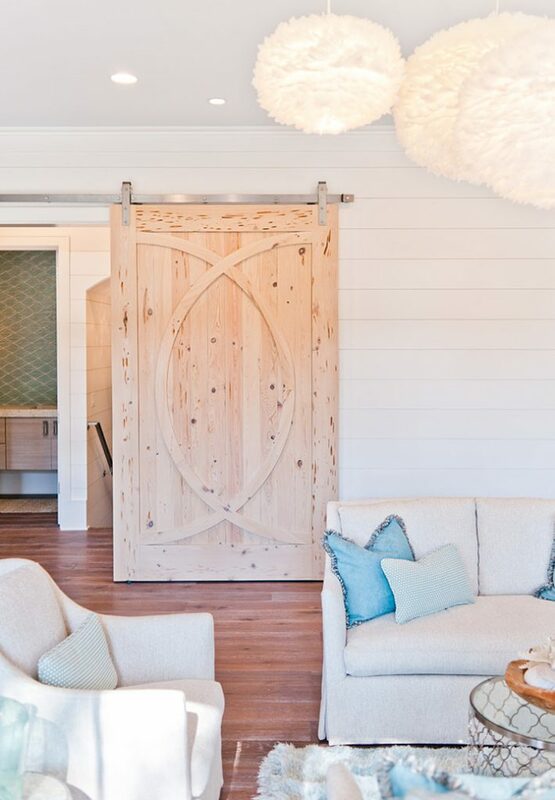 It is beautiful and I would love to have it in the home I am building. Thank you very much! 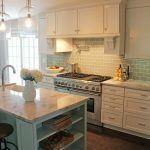 Do you happen to know what the backsplash in the kitchen is called? It goes beautifully. 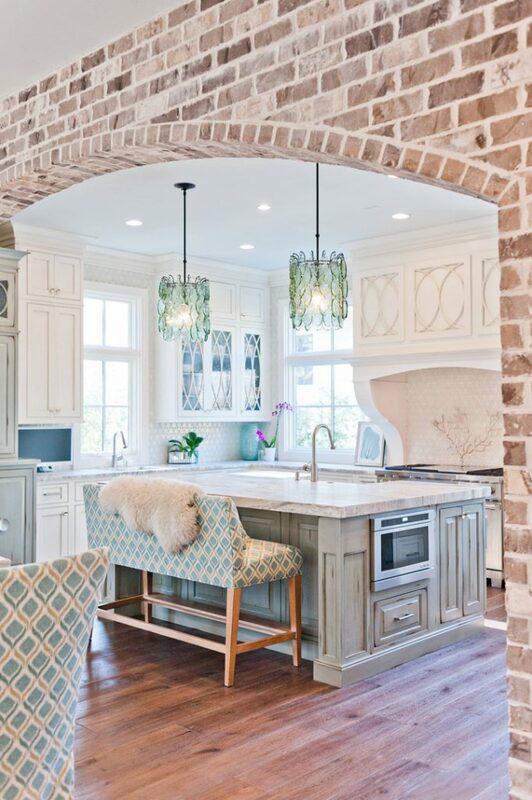 The tile in this kitchen…..can you tell me where you purchased or the name?